We wanted to produce something inspirational – something personal. An item that wasn’t going to be thrown away. The idea for the “Box of Inspiration” arose from this. A box containing famous inspirational quotes on 12 x cards, packaged up with a stand. The designer was briefed to give the cards their own identity, but to work together as a pack – using their brand (including secondary) colours. 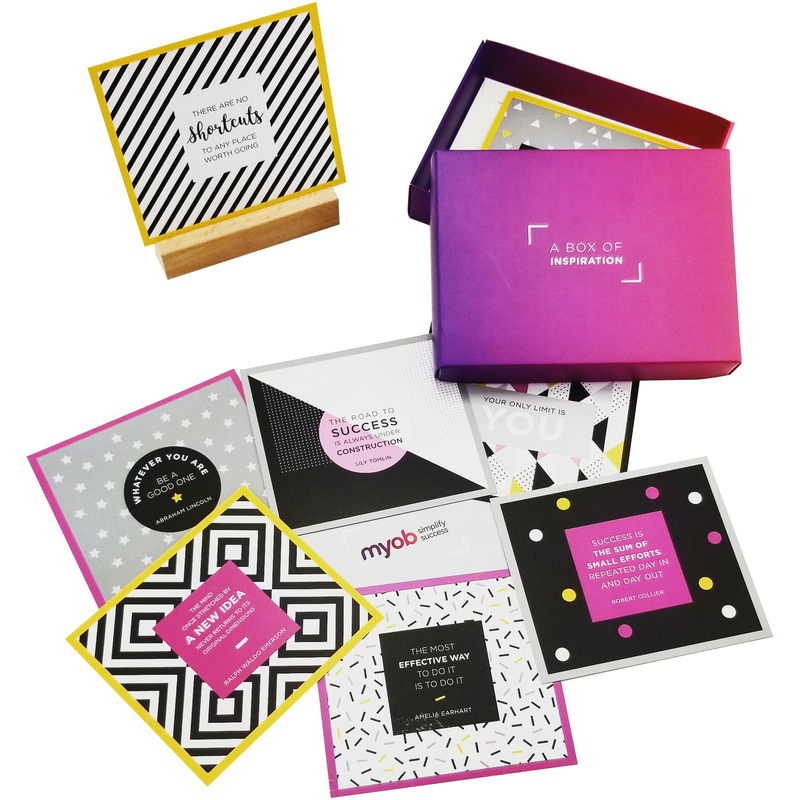 The box itself had to represent the MYOB brand – using the gradient of the logo – to create brand awareness. There was an overwhelmingly positive response for the inspiration box. The inspiration box did exactly what it was meant to: "create brand awareness", "support the theme of the event- 'success is personal' and "be something people wanted to keep". The popularity of the product was evident on social media, with various mentions and shared posts which helped MYOB to benefit from the earned media creating brand awareness. 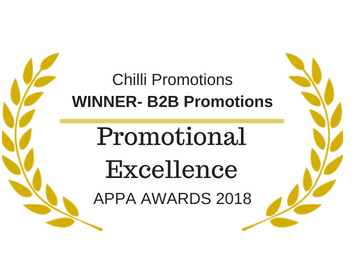 Chilli Promotions was awarded APPA Promotional Excellence Award 2018 for this campaign under the B2B Promotion Category. We had an overwhelmingly positive response for this gift. People loved that it was inspirational. Something they could display at work and something they could change up depending on which quote they wanted to display. We had many requests – post-event – for these boxes including from our PR team who re-printed a quantity for use at some of their hosted events. Posts of the boxes were all over social media – the first time in our event history that pics of the giveaway were posted! It was a great brand awareness campaign on the back of our recently updated logo.